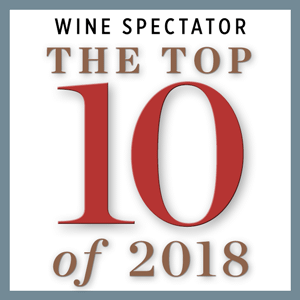 Each year, Wine Spectator editors survey the wines reviewed over the previous 12 months and select our Top 100, based on quality, value, availability and excitement. Our archives contain every Top 100 list back to the debut year, 1988. You may choose a specific year and sort the list by clicking on its header: rank, wine, score or price. We've counted down the most exciting wines of the year for quality, value and availability! See Top 10 details, plus 30 years of the Top 100!